The Gr. 8 Community Project is a major activity for students to complete in the final year (Year 3 = Grade 8) of the MYP program at Lamar Louise Curry Middle. Curry Middle is an authorized IB school with a 3 year MYP programme. In schools in which the MYP finishes with year 3 or 4 of the programme, all students in the final year must complete the community project. The community project focuses on community and service, encouraging students to explore their right and responsibility to implement service as action in the community. The community project gives students an opportunity to develop awareness of needs in various communities and address those needs through service learning. As a consolidation of learning, the community project engages in a sustained, in-depth inquiry leading to service as action in the community. 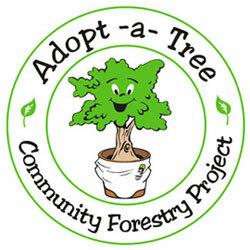 The community project can completed individually or collaboratively in groups of a maximum of three students. The choice of the goal or topic for the project is made in consultation with a Grade 8 teacher who has the responsibility for supervising the development of the project according to the MYP Community Project Assessment Criteria (included in attached guide) and International Baccalaureate Organization guidelines. Environmentally Endangered Lands Program: Volunteer to make Miami greener!